Dun & Bradstreet analyzed 695M customer contact records and surveyed more than 500 B2B marketers to provide the truth about the state of B2B marketing data. Download the fourth annual report to discover how you can turn improved data quality into a competitive advantage. Do you have the data strategy you need to deliver on your marketing goals? 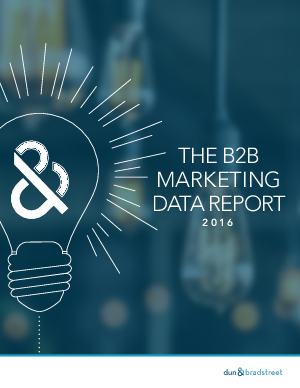 Download the B2B Marketing Data Report to find out!